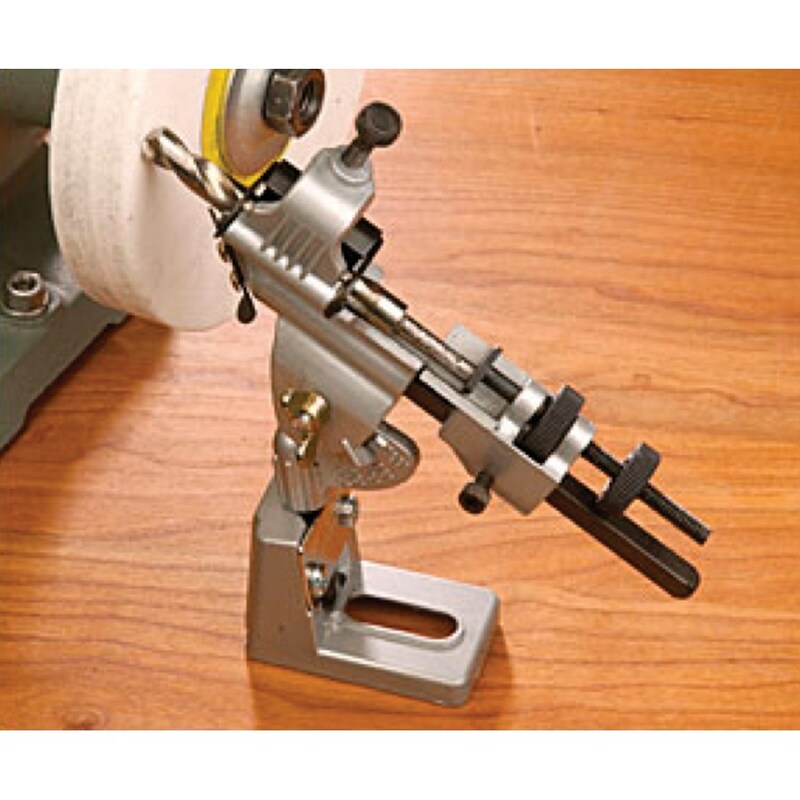 This bench-mounted drill grinding guide is used with a standard electric bench grinder. Sharpening drill bits has never been so easy. Twist drills bits from 1/8" to 3/4" in diameter can be sharpened on the side of the bench grinder. It will grind all angles, providing an edge relief as it grinds on an arc. 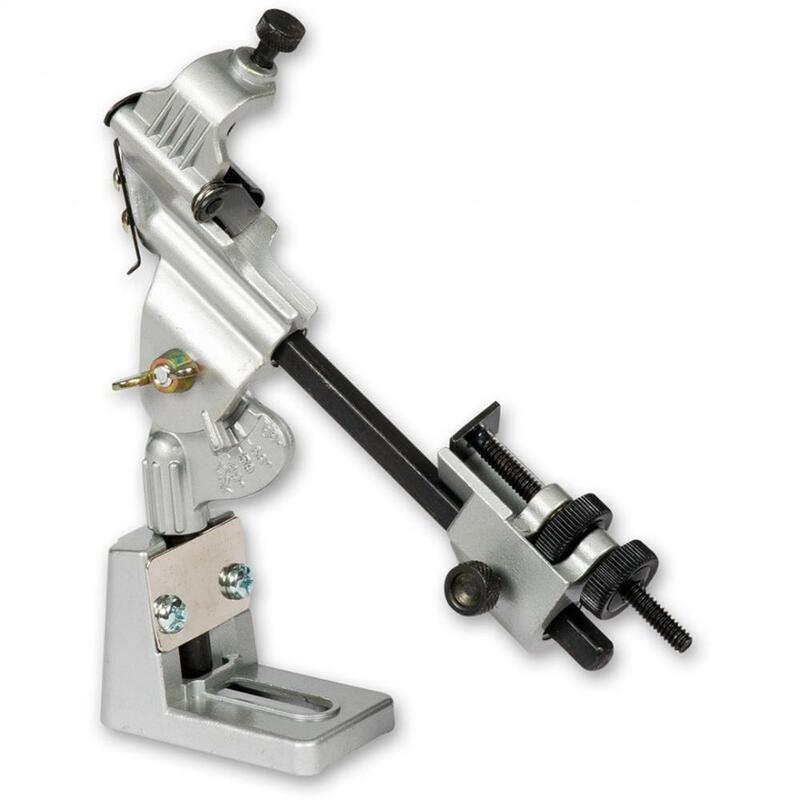 Instructions are included that give mounting positioning, and drill bit angle guidelines.